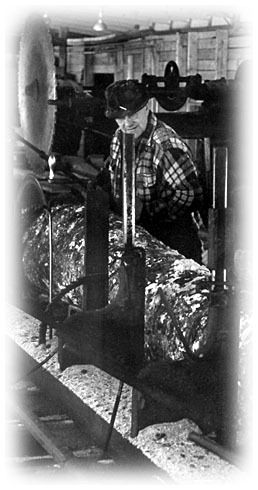 Cersosimo Lumber Company was founded in 1947 by Anthony F. Cersosimo. From a modest beginning with a portable sawmill in Jamaica, Vermont, Cersosimo has grown to be one of the largest producers of high quality Northeastern Hardwood and Eastern White Pine lumber in New England. Because of a 70-year commitment to quality, consistency, innovation, and fairness, a pack of lumber bearing the Cersosimo logo is recognized around the globe as a product that can be trusted. Headquartered in the heart of New England, our operations include five sawmills, grading and milling facilities, extensive kiln capacity, a custom kiln drying facility, an extensive network of foresters and log concentration yards, railcar loading facilities, transportation, and storage. 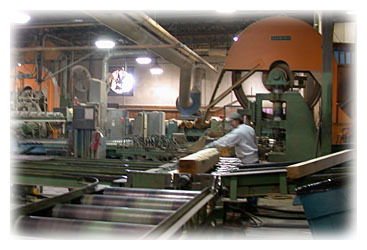 Michael A. Cersosimo, named President in December 2006, is the third generation of his family to lead Cersosimo Lumber. Michael continues the tradition of utilizing the most modern technologies in conjunction with time tested practices to produce the finest quality lumber. Cersosimo Lumber Company and its over 275 employees and many business partners strive each day to produce an honest product, to provide a workplace where there are good jobs and opportunities for advancement, to be a good steward of the forest, and to make a contribution to our industry and our communities.